Norrona's most flexible fleece with the highest warmthto- weight ratio in their collection for men. 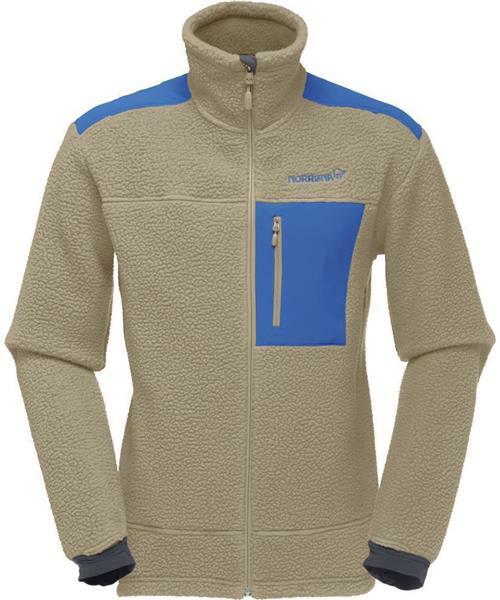 Slip into this warm and comfortable climbing fleece with its stylish retro design. Polartec®'s Thermal Pro® fabric is lightweight and highly insulated, and the strength and flexibility of the fabric ensure good looks even after extended use. Features include two hand warming pockets, chest pocket, integrated hand gaiters and a warm, weather protective collar.